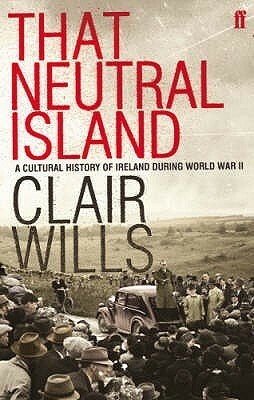 Like all things Irish, the decision to be neutral in WWII was not simple--there was the matter of retired English military people living in the Republic, and thousands of war workers who went to England and Scotland, the the border between the six counties and the south, the bombing of Belfast by Germans, the presence of German agents and radio sets, the return of the badly needed western Atlantic ports to the Republic, Churchill's bellicose pushing, the many left-wing IRA members' harted of fascism from the Spanish Civil War, dueling propaganda radio programs (and virtually no zinc batteries to listen to them anyway), rich Europeans hiding out in Ireland where there was no rationing and stuff was cheap, the complication of Pearl Harbor and the relationship with Irish-Americans, the presence of American GIs in the north and the lasting economic consequences of the war years. This is thoroughly documented, from the enormous literary output of Irish writers, Mass Observation project diarists, propagandists, de Valera speeches and personal papers mined for accounts. Quite a detailed and atmospheric account of one of the neutrals in WWII and the various pulls and pushes it faced..